Sage 50 Accounts 2010 in easy steps is the definitive companion for anyone wishing to learn how to keep accurate computerised accounts. 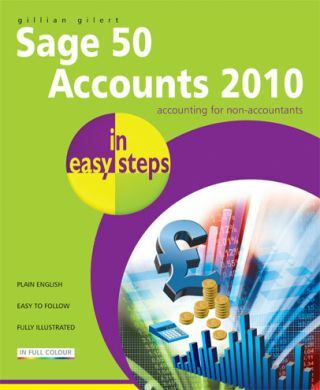 From standard activities, such as setting up records and producing invoices, to reconciling your bank statements and producing accurate reports, this book shows you how to do it all in easy to follow steps. 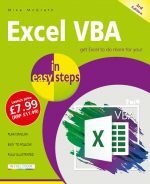 Every aspect of this popular accounting software is covered in fifteen fully illustrated chapters packed with examples and tips for easy use. Whether you want to learn how to manage your stock or keep track of debtors, creditors and bills, it's all there, including how to run those all important month and year end procedures. 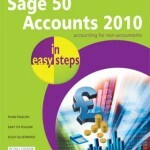 This book is a real 'must have' for both new and regular users of Sage 50 Accounts, Accounts Plus, Accounts Professional and even the Instant Accounts Range.